It’s a great best way to discover Taiwan and it’s valid on Taroko Express, Tze-Chiang Express and Chu-Kuang Express trains. It can save you from queuing for separate point to point tickets. Offered by the Taiwan railways, as a discounted pass to be used when visiting Taiwan, and doing a lot of travelling in a short period of time (also on business) - a rail pass will save money and be more convenient than separate point to point tickets bought locally. As Taiwan is relatively small island (approximately size of Belgium), with extensive public transport; If this is your first visit to Taiwan, and just for a week, then a pass is recommended. However it is useful to note that if staying in Taipei and doing just a single trip to south, the High Speed Rail (THSR) offer discounts on the full ticket price, when booked in advance. The THSR is running high-speed services (‘bullet train’ style), known in Chinese as 'Gao Tie', along the populated West Coast, from Taipei to Kaohsiung. The 3-day & the 2-day flexible passes cover these trains only. It's the most efficient and luxurious way to travel, however the customer should be aware that many High Speed stations are outside the actual city centre.The THSR trains are basically Japanese Shinkansens. French engineers built the tracks, which had to be specially designed for Taiwan's exceptionally mountainous terrain. 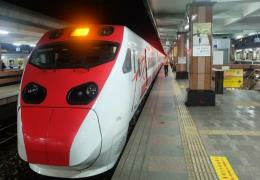 With top speeds of about 300km/hr, they make the trip from Taipei to Kaohsiung in 96 minutes. Good to know: Shuttle buses run between new high speed station out of town to old train station/s inside city centre. Tze Chiang (express) trains are the fastest and most comfortable of the ‘conventional trains’, so when going between major stations, these are the best bet. Seats can be pre-reserved, but is not compulsory. The next fastest of the ‘conventional trains’ is the Chu Kuang, which is similar to the Tze Chiang but slightly slower and with stops at more stations. Seat reservation is recommended to avoid the chance of standing all of your journey! Finally there are the local trains, that stop at every station. They range in quality from very old to sparkling new, and while there is no allocated seating and only one row of seats along each side of the train, they are generally quiet except for the few stops before or after a major city. So if not in a hurry a local train can be a peaceful and relaxing way to travel between cities. Older style trains operate around almost the whole of Taiwan island, opening up the beautiful East Coast. 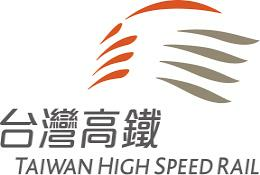 The Joint Pass allow two days on the THSR (High Speed services) plus three more days on conventional trains - all within a five consecutive days period, to visit the Taiwan East Coast. Country wide. Stops at most common stations. Country wide. Stop at all stations. Airplane style. Max 2 hours trips. Business class available. Comfortable only with reserved seats. All seats to be reserved in advance. Non-reserved “standing tickets” sold but very uncomfortable. Suggested reservation in advance. We will issue the voucher, and send it to the customer via email. The voucher is essential to the Customer in order to obtain the Taiwan Pass (Important: Issued details can not be modified). Note – Vouchers will show a ‘Redeem Code’ which is essential for the Customer to collect the Taiwan Pass. The voucher will need to be exchanged for the actual pass in Taiwan; vouchers can be exchanged at any stations (i.e. Taipei). The customer will need his/her original passport (no photocopy) and the emailed voucher to get the actual pass. At the same time the Customer can request specific train reservations, which will be reserved free of charge and are subject to availability. A Child discount is 50% the Adult rate; child age is between 6 and 11 years old (included). - Within 7 days from purchasing date: no cancellation fee. - From 8 to 14 days from purchasing date: 15% cancellation fee. - Over 15 days from purchasing date: 100% cancellation fee. Please note that administration fees will be added by issuing as well as supplying agent. Please be aware that only unused/un-exchanged vouchers can be refunded, the actual Pass once issued in Taiwan is a non-refundable document. A Customer will have 90 days to exchange the voucher for a Pass, from the date of purchase.